Don't open this book without a pen or pencil in hand! Unlike the other Fablehaven books, this one is only half-finished...The missing ingredient is you! Begin by writing your name in the space provided on the front cover. Then get ready to write, draw, solve, and create, guided by the many activities inside! The secret world of enchanted preserves is waiting for you to jump in—just make sure to avoid any deep pools filled with naiads! I read the Fablehaven series with my children several years ago and we all loved it! This is a fun activity book that goes along with the series, which I wish had been available back then. My daughter and I have had fun doing some of the activities. There's a wide variety so there's something for everyone. There are recipes, crafts, games, coloring pages, quotes and much more! Going through it made us want to read through the series again so I would highly recommend this to anyone reading the series for the first time. It also got us excited for the sequel, Dragonwatch! My family loves the Fablehaven series. I read them with my children and it was a wonderful experience for all of us. This activity book is a fun way for children to use their imagination. There are coloring pages, mazes, learn how to draw pages, origami, etc. This would give any child many hours of enjoyment. I could see it being used in a classroom while a class is reading the book together. Personally, I would not want to write in the book. I could see myself copying off pages, but this book is meant to be written in, drawn in, and have pages torn out. Perfect for any Fablehaven Fan you may know! This is a cute workbook style book perfect for any Fablehaven fan that you may or may not know! I enjoyed flipping through it and trying to figure out the riddles, seeing all the fun games that you can play and checking out all of the coloring pages. Quite honestly, I was amazed at the content and different activities that are included in this book. I even had my daughter pull out her copy so that I could look and see what one of the secret messages was. And it was something that she hadn't even noticed, and she's read this series several times. 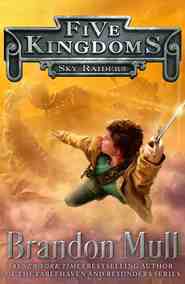 Make sure you grab a copy of this fun book for the Fablehaven lover in your life!